To successfully achieve and maintain our superb customer service goals, Ashton Ridge Homes takes great care to employ only the industry's most experienced and accomplished professionals. Ashton Ridge Homes even has our own Quality Assurance Manager to make sure every little detail of the home has been checked and addressed. The PDI represents one of your first opportunities to view your new home in its completed state. Your Ashton Ridge representative will guide you through a comprehensive inspection of your home to ensure no items are damaged, incomplete or missing. As well, the operating systems in your home, such as ventilation, plumbing and heating will be demonstrated. Over the first few weeks as you settle into your new home you may notice items which you would like to be addressed. 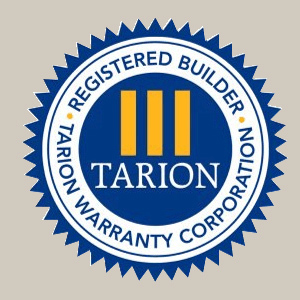 We ask that you please compile a list of warrantable items and submit it to our warranty department and to TARION prior to the 30th day in your new home. Please submit the list to us by email service@ashtonridge.com or by fax 519-823-8887 and be sure to keep a copy for your records. Once your service request is received a technician will be scheduled to meet with you at your home and review the items of concern. Prior to your 11-month in your new home, please compile a list containing any warrantable items that have appeared during your first year of ownership. Again be sure to include any warrantable items from your previous inspections that have not yet been completed. Submit your list to Tarion and us by email service@ashtonridge.com or via fax 519-823-8887 and keep a copy for your records. If there are warrantable items during your second year of ownership, a list can be compiled and submitted at any time during your second year of occupancy. Submit your list to Tarion and us by email service@ashtonridge.com or via fax 519-823-8887 and keep a copy for your records. Once your service request is received a technician will be scheduled to meet with you at your home and review the items of concern.